Cameraderie & mutual support are the key elements of this squad! GVC was begun in 1975, along with the start of the Carolina Cup. The Greensboro Velo Club was formed to house the race team and the Cup event. 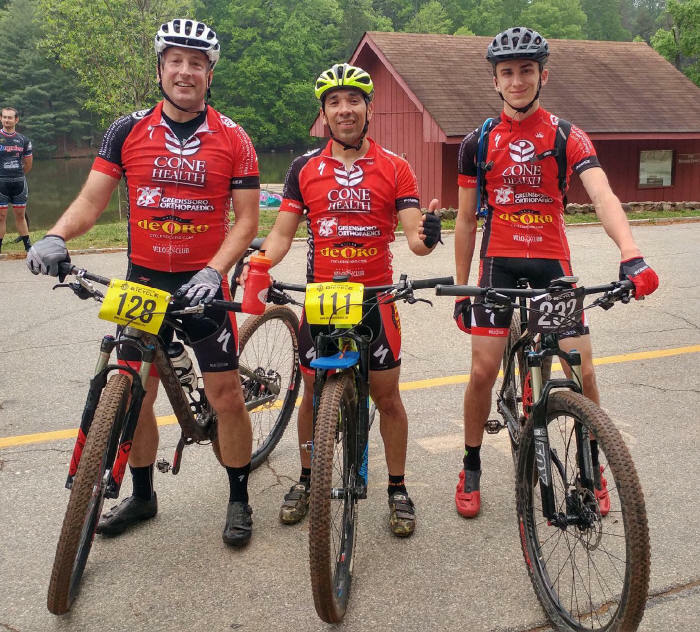 This club has grown to be one of the most active bike clubs in North Carolina, involved in all aspects of community cycling; including recreational, commuting, touring, trail riding, road, track, mountain and cyclocross racing. 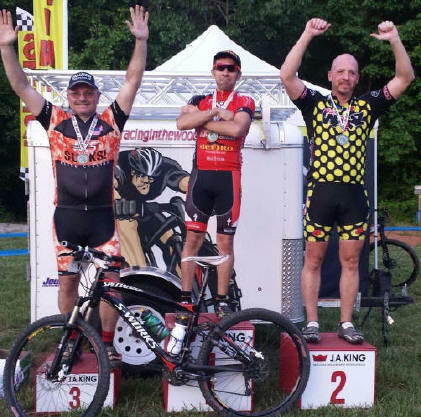 While we have had great talent and success with National and North Carolina champions, the focus and intent has been to encourage local riders and provide them an avenue to better enjoy bicycling. The GVC team for 2018 will continue the tradition of being open to all interested potential racers. You are invited to be part of this team! There are no preset qualifications or level of athleticism, any cycling enthusiast living within a 50 mile radius of Greensboro is eligible. He/she only needs the desire to participate and to be part of the team. There is a special GVC Google group (email list) especially for those associated with the Greensboro Velo Club racing activities. Please join us in discussions about upcoming events, training rides, results, equipment needs or issues, pep talks, etc. * Join the Greensboro Velo Club Membership includes all the benefits listed below. * Start participating! 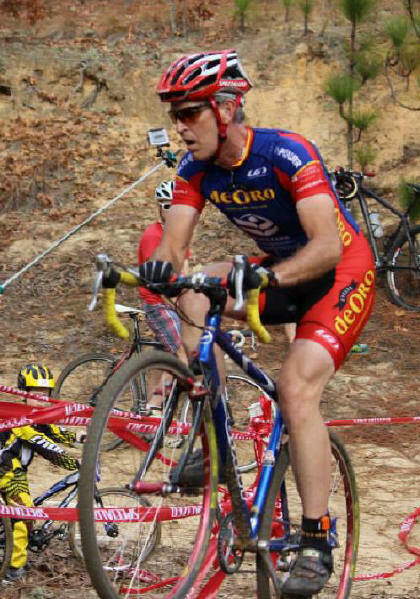 Training rides, big club rides and compete in the races that are organized by Greensboro Velo club. * Wear your club "kit" in all public events. * Being a part of one of the most respected bike clubs in NC. * Discount on bikes, parts or accessories for personal use from cycles de ORO. * Access to the team "KIT" (short sleeve jersey & bib shorts or regular non-bib shorts.) Plus other clothing as available. Pricing at a special team discount.